POET is changing the landscape of global energy access. Ethanol cooking fuel is improving human health and the global environment while driving socioeconomic and agricultural development. Over three billion people, nearly half the world’s population, still rely on wood and solid fuels to meet daily energy needs. This is one of the most significant public health and environmental issues of our time. Alternatives, like clean-burning ethanol stoves have life-changing effects. Vision To improve the global environment and health of families while driving socioeconomic and agricultural development. Access + Affordability Our investments support inclusive business networks to bring modern and affordable energy access to all. Partnership With our proven business model and products, our partners gain significant value and a tangible plan for success. When our partners succeed, we succeed. Metrics Using active data from operations and consumer interactions, we can effectively quantify our impact and shape how we grow in the future. 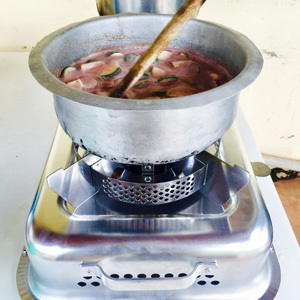 Quality Our standards ensure that highest quality stoves and fuels reach consumers affordably. Leadership We believe our commitment to clean energy will spark change.